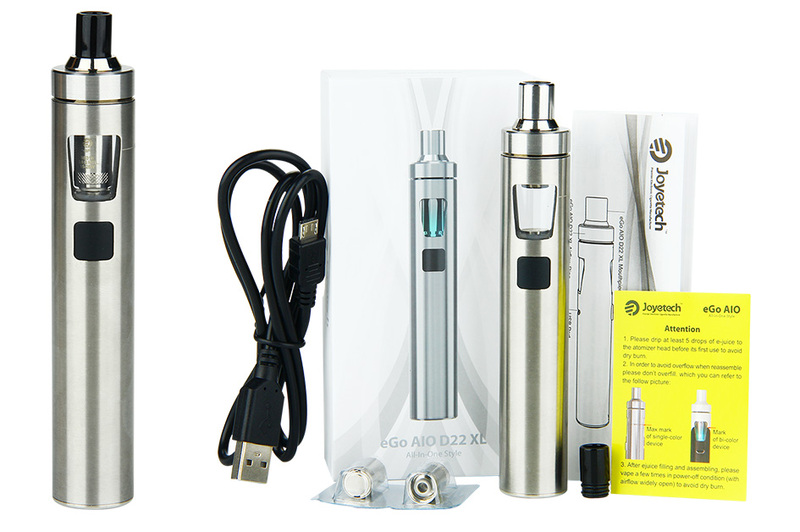 eGo AIO D22 XL, being all-in-one style, attaches the innovative anti-leaking structure with 4ml e-juice capacity. fashionable indicator lights. 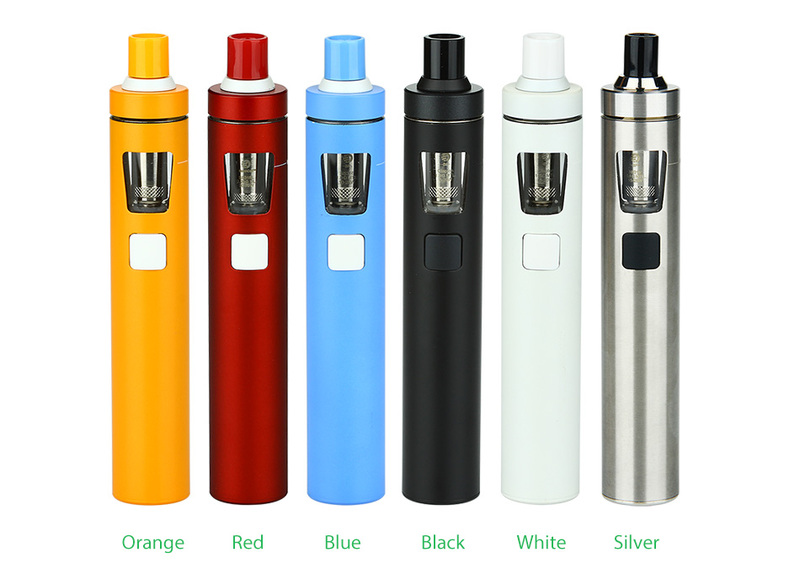 JoyetecheGo AIO D22 XL is designed with simplicity and efficiency. Power on and off: Press the fire button for 5 times in quick succession, the button light will flash 5 times to indicate eGo AIO D22 XL is ready for use. In the same way, the D22 XL will be powered off after 5 presses. 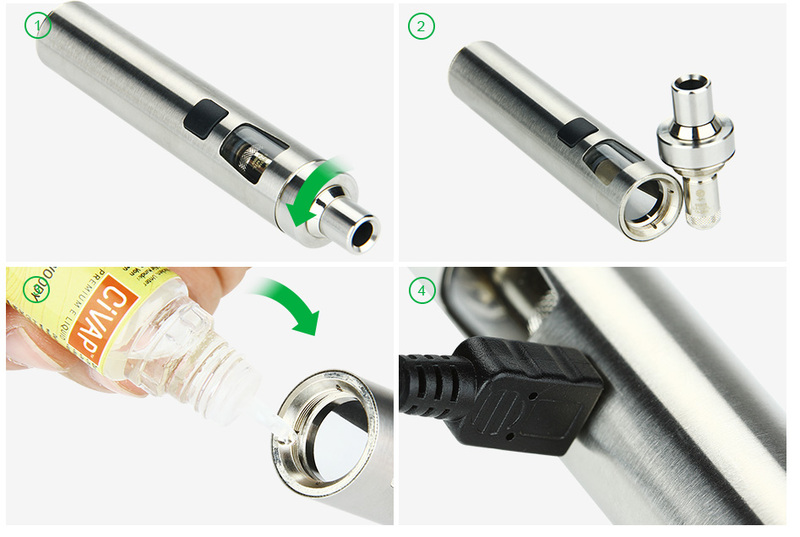 Atomizer head replacement: Unscrew the atomizer, the atomizer head is located on the base, just unscrew it and replace with a new one. 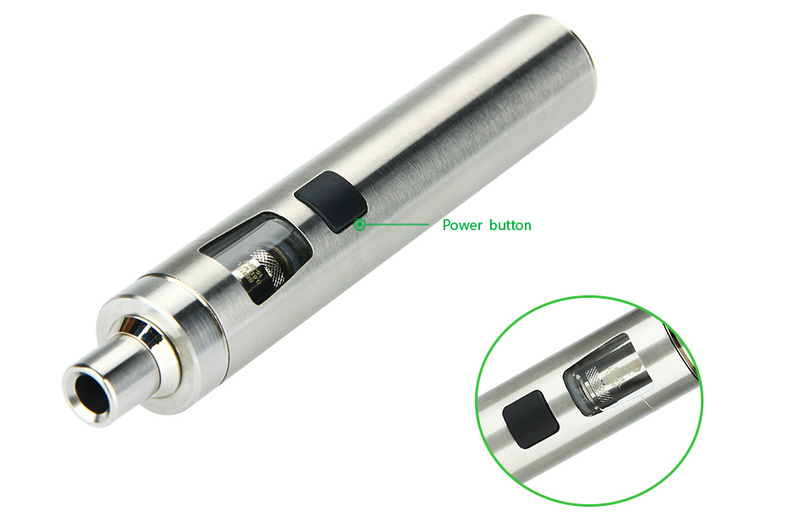 e-Juice filling: Separate the atomizer from the battery, inject or squeeze the liquid into the atomizer slot. No overfill. blue, indigo, white or purple or light-off. Charging: Simply charge eGo AIO D22 XL by connecting it with a computer or a wall adapter via USB cable. When it's fully charged, the button light will go out.